Shailendra is a keynote speaker, influencer and a thought-leader in the Artificial Intelligence space . With an experience of over 23 years working with Corporates, Software Vendors and Consulting companies, Shailendra has delivered over One Billion Dollars through advanced analytics. He has established and lead several data science businesses and teams to generate revenue and drive incremental growth by creating multiple Artificial Intelligence solutions across a variety of sectors, including Telcos, Financial Services, Retail and Public Sector. Shailendra has published multiple articles about Advanced Analytics, Machine Learning, IoT, Artificial Intelligence and Blockchain; and recently published an Amazon bestseller “Making Money Out of Data” which showcases five business stories from various industries on how successful companies make millions of dollars in incremental value using analytics. 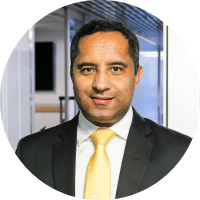 Shailendra has held senior executive level positions at SAP, IBM, Accenture, Woolworths and Coles with Asia and ANZ mandates. I have been delivering data science projects for the past 23 years while working in the industry and consulting companies which has helped me create a skillset which is unique to deliver incremental value to the organisations in different industries. A very important aspect of Data Science is creativity to understand what to do with data and how to solve a particular business problem and that comes with experience to understand the art of possibility. I think I will have to thank my first boss who hired me to setup SAS Institute in India and gave me the freedom to push the boundaries. It helped develop a unique skill in me to ideate, architect and deliver outcomes to drive value. Apart from that, my roles at client organisations like Woolworths and Coles helped me to become creative enough to design solutions to real business problems to deliver outcomes in short space of time. Achieving a business outcome to deliver value through Data Science excites me the most. if value is not achieved, the data science project is worth nothing. Furthermore, the creativity aspect of what data and algorithm is required to deliver the outcome really drives my thinking. To be honest there are not many true Data Scientists. Having said that I look up to people like: Yann LeCun, Dr. DJ Patil, Werner Vogels who are really doing some great work in the space. Bill Gates and Bill McDermott in the Leadership space. Andrew Ng, Evan Kirstel, Mike Quindazzi, Tamara McCleary, Kirk Borne and Paul Daugherty have great influence on me in the Artificial Intelligence space. I learn a lot from them. Credibility: What value have you ever delivered using data science? : After delivering over One Billion dollars in incremental value, I wrote an Amazon BestSeller named “Making Money Out of Data”, which helps organisations to learn from my experience and utilise the usecases from the book for their business. The book has its own reach and I do a lot of book signing activities and talk to the CxOs on their Data Science Strategy and execution. This has a direct influence and impact on organsiations. Each week I do many talks and deliver keynote speeches to educate and spread awareness on Data Science and Analytics. Reach: How many talks / articles have you written, specific to data science? : I write articles / blogs to educate and spread awareness around Data Science and Analytics along with talks and keynote presentations. Further to that, I collaborate to many industry whitepapers in the advanced analytics and data science space. Depth: How many corporates speak to you around Data Science? : Many organisations seek my advice on the Data Science projects’ approach that they have been implementing, which has a direct impact on the industry. In the next 12 months, automation will be at the forefront of data science. We will see rise of many self-learning models which will allow the models to recalibrate based on the changing data. I am more than happy to collaborate through podcasts, video interactions, workshops, whiteboard sessions, webinars, whitepaper collaborations and above all keynote speaking opportunities. I can be contacted through email: shailend.kumar@gmail.com; through Linkedin or Twitter; and off course can be Whatsapped or called at +61 405299095.